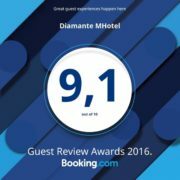 Diamante Mhotel is located in Collegno (to) only a few kilometres from the city centre. Turin is an elegant, multifaceted city, capital of industry and art. Ancient capital of the house of savoy, cradle of the renaissance, it has managed to combine its immense cultural heritage with the dynamism of a city open to the world and innovation. Today Turin offers its visitors a combination of architectural and monumental gems, museums, art galleries, entertainment, quality food and internationally renowned events such as the Book Fair, the Salone del Gusto and the Torino Film Festival. The most significant work of the architect Antonelli, for over a century symbol of the city. Take the panoramic lift for breathtaking views. Now home to the Cinema Museum. This square is the real heart of Turin; the place from where the city grew, from Roman times to the Risorgimento. The square, surrounded on three sides by elegant porticos built in different periods, is the site of major historic town buildings: the austere Royal Palace, the Palace of the Regional Council, the Government Palace and the impressive Palazzo Madama. The collections housed in this museum provide visitors with a journey through the history of cinema split onto five different levels: the Archaeology of Cinema, the Film Machine, the Collection of Posters, the Video installations and the great Temple Hall surrounded by 13 chapels which recount a number of film themes (Fantastic and Horror, Animation Films, Science Fiction, Love and Death, Westerns, etc). Turin Cathedral is dedicated to John the Baptist, the patron saint of the city and was built between 1491 and 1498 by Cardinal della Rovere. The chapel built to house the cloth in which the body of Jesus is said to have been wrapped in the tomb was seriously damaged by fire in 1997. Today the Shroud is kept in an extended horizontal position in a sealed glass case, in the absence of air and in the presence of an inert gas, placed underneath the royal stand. During expositions (public displays) the Shroud is instead exhibited in another showcase. Not far from the city centre is the beautiful Valentino river park redesigned in the 19th century by the French landscape architect Barrillet-Dechamps. In the heart of the city park stands the magnificent Valentino Castle, listed as a UNESCO World Heritage Site along with other Piedmont Savoy residences. This museum, dedicated exclusively to the art and culture of ancient Egypt, has been in Turin for almost two centuries. Its foundation dates back to 1826, when Carlo Felice, King of Sardinia, acquired a large collection of works of the French consul in Egypt, Bernardino Drovetti. Subsequent purchases and excavations expanded the museum collection which now boasts more than 30,000 pieces, including statues of pharaohs, sarcophagi, funerary steles, jewels, and everyday objects (there are “only” 6500 on display) which make the Egyptian Museum of Turin one of the richest Egyptian museums in the world. Built to the order of Carlo Emanuele II as a hunting lodge and country residence, the Palace of Venaria is one of the magnificent Piedmont ducal residences built to create a “Crown of Delights” around the capital to testify to the power of the House of Savoy. A UNESCO World Heritage Site, the Palace of Venaria was opened to the public in 2007 and is among the top five most visited cultural sites in Italy. Built in the early-18th century (1729) as a hunting lodge for the Royal House of Savoy, it was designed by Filippo Juvarra and is one of the architectural gems of Turin, located just 10 km from Piazza Castello. It reopened to the public after undergoing major renovation and is considered to be one of the most extraordinary 18th-century building complexes in Europe. It is in fact a fully-fledged museum with its original furnishings, paintings and cabinet-making masterpieces and of course the magnificent surrounding park. The Juventus Stadium, owned by the Juventus Football Club, is where all the team’s home matches are played. The first Italian soccer facility to be free of architectural barriers, it is one of the three Italian stadiums in UEFA category 4 – that with the highest technical level. Considered to be among the most advanced facilities in the world the Juventus Stadium was awarded the Stadium Innovation Trophy at the Global Sports Forum 2012 as the most innovative sports facility in Europe.